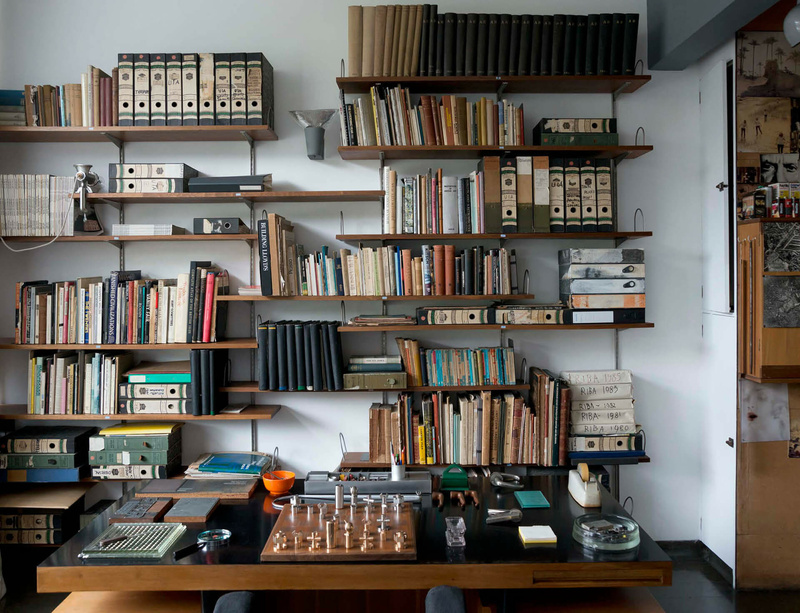 Taking as his inspiration the furniture and fittings that Ernö Goldfinger designed for 2 Willow Road, leading British artist Ryan Gander has created new works that are now exhibited interspersed with the collection in the architect’s Modernist home. Goldfinger was a Hungarian-born architect and designer of furniture who is most notably remembered for his residential tower blocks, part of the government’s attempt to solve the housing shortage after World War II. Among his most iconic buildings were the 27-floor Balfron Tower in the East End of London and the 31-floor Trellick Tower in North Kensington which are both fine examples of Brutalist architecture. One audio-visual work in the exhibition (A flawed and wounded man bleeding frames onto a page) is a performance of a children’s book written by Gander, entitled The Boy Who Always Looked Up, about Goldfinger’s relationship to Trellick Tower. The work is a dramatic radio play, filmed in a professional recording studio, incorporating a live performance using sound effect props to accompany the narrative. Goldfinger designed 2 Willow Road for himself and his family in 1939 and the house contains the Goldfingers' impressive collection of modern art, intriguing personal possessions and innovative furniture. Gander’s works draw on the objects designed and assembled by the Goldfinger family, so a small self-assembly moneybox, secreted upstairs in a bedroom, has been made using the same slot-together technique used by Elizabeth Goldfinger for the lounge chairs in 2 Willow Road itself. Entry to 2 Willow Road is by tour only for the first part of the day. Tours at 11am, 12pm, 1pm and 2pm are filled on a first come, first served basis at the door on the day itself. Alternatively, you can explore independently from 3pm. Last entry is at 4.30pm. Admission: National Trust admission charges are: adult £6, child £3 and family £15.